So, you've received a subpoena to give a deposition. Depending on whether you're a party to the case, and what type of case it is, this can either be a very stressful thought or a slight inconvenience. Knowing how to prepare can take some of the stress out of it, though. One of our court reporters was subpoenaed to give a deposition in a family member's medical malpractice case. Here's how she prepared and what she would have done differently. "I had been the reporter in hundreds of depositions and in the courtroom and thought that switching to the witness seat would be so easy. In some ways, it was, but it was eye-opening. I made sure to get a good night's sleep the night before the deposition and to give myself plenty of time to get to the attorney's office. The last thing I wanted was extra stress of getting stuck in traffic, and I wanted to have a few minutes to relax once I arrived. I wore comfortable clothes, so I wouldn't be distracted by being uncomfortable. I made sure to take my vitamins, and didn't eat anything for breakfast that might give me any digestive problems. Once I was in the conference room and was sworn in, I had to remind myself to speak slowly so the court reporter could capture my testimony, and to not interrupt the attorney. Some attorneys take long pauses during a question, so I had to make sure they were finished before I started replying. It's natural to want to explain an answer, but sometimes the answer gets lost in the explaining. I had to remind myself to answer yes or no to a question, and then add any extra information needed to clarify my answer. Attorneys on both sides appreciate having the yes or no clearly stated. 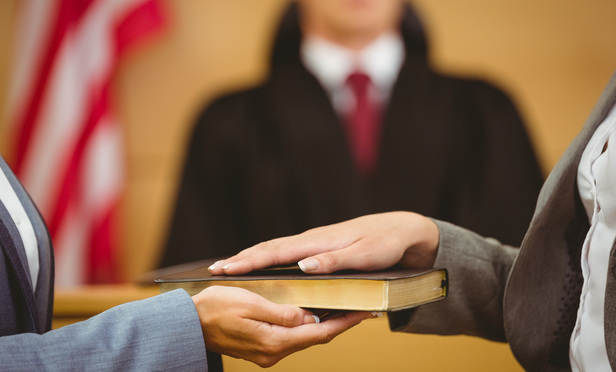 If either attorney wants more information after your brief answer, they'll ask for it. Taking a breath and pausing for a moment to repeat the question in my head before answering helped me to stay on topic. It was interesting to be in another role in a deposition and to see what it's like in the witness chair." · Read your subpoena or notice to see if there are documents or photos they've asked you to bring. Start locating those immediately. · If you tend to get cold, bring a light sweater. Conference rooms can get cold. · Make sure to pause before answering the question, in case another attorney wants to state an objection. · Don't guess when you answer a question. Only testify to what you know for sure. Remember, the attorneys simply want to know what you know about the matters at issue, and don't expect you to know everything. With a little preparation, and a few deep breaths, you'll have nothing to worry about.